LG and Samsung both provide the top quality when it comes to TVs. Both these brands provide the latest technology and features, but how do you know which one will be best for you? Both LG and Samsung TVs can vary in quality depending on how much you spend and which specific TV you choose. This can make it a little difficult to give a direct comparison between the two, but there is one big difference between the two. LG TVs have begun to put their focus on creating OLED displays. OLED (Organic Light Emitting Diodes) is a light emitting technology that is able to light up without needing a backlight. This makes them thinner and more efficient than other displays. Not only are these screens thinner, OLED displays are able to provide some of the best images you’ll see. Because individual pixels can be shut down while others around them still emit light, OLED displays can create an absolute black, creating deep contrasts between colors. On the other hand, Samsung has focused more on creating QLED (Quantum Dot LED) displays. These displays have a backlight that shines through colored filters to create an image on the screen. QLED creates a wide variety of colors because of the quantum dots, or the particles the light filters through. The backlight also gives a bright white and brighter colors. Really, which TV you purchase will depend on your preference between the two displays. Coming into the store and seeing the difference for yourself will help you determine which one is for you! 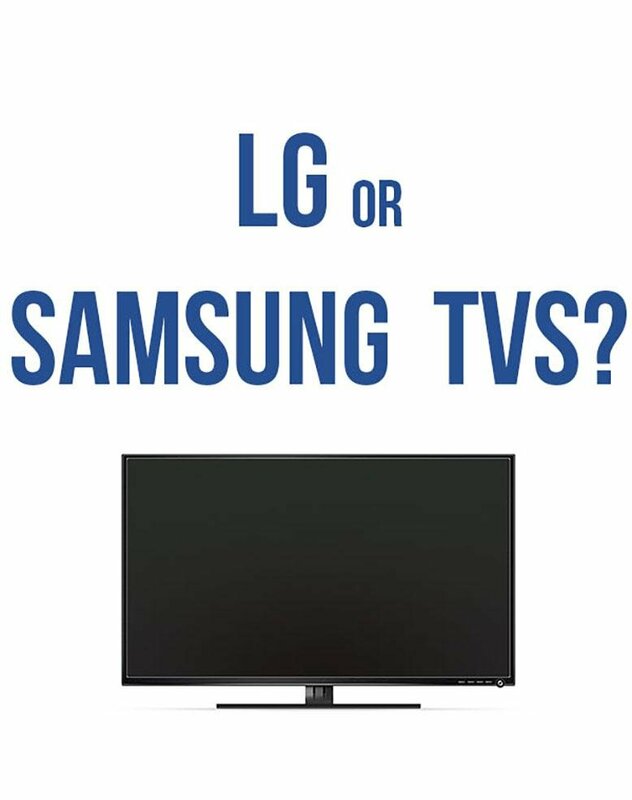 Do you prefer LG or Samsung TVs?